← March issue out for sale! During all this work the contractors expect to allow access to the Leisure Centre, Top School and all Burford Rd residents. This will include a way through for School buses for drop off and collect at appropriate times. Access down The Green will be restricted to school and residential access – and the ends of The Green will be patrolled to discourage through traffic. The news understands local buses may be allowed to use The Green as well. Emergency services are exempt and will have access. It is understood that in Phase 2 traffic from areas such as the Cotswold Gate estate at the Burford Road end, Greystones, the Beeches, and Charlbury Road may not have through access to the Town – and may have to be diverted back along the Burford Rd, then turning right opposite The Beeches along the minor road down to the Churchill Rd at Boulter’s Barn and thence right again into Chipping Norton. Most importantly, SGN say that the main purpose of the restrictions is to avoid HGVs passing through the roadworks, which would put the workforce and public at risk. HGVs will not be allowed through the affected Burford Rd section at all – and their signed diverted route will be from Burford to Stow to the Greedy Goose and thence on the A44 to Chipping Norton. We understand HGVs arriving at the closed section will be advised to turn round and use this diversion. 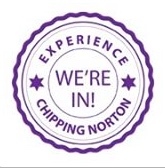 A letter from SGN to all interested parties in Chipping Norton clarifying all the above should be arriving before the 7 March start. SGN say that if needed, they may occasionally cease operations and provide access over temporary road plates or temporarily reinstate excavation to allow access at start and finish times of the school day. SGN will contact the schools and the leisure Centre prior to any deviation from these agreements. Talk to staff on site with any immediate issues that may arise.